Mumbai, Oct 19: Fertin India, a fully-owned subsidiary of Denmark-based Fertin Pharma A/S, plans to invest Rs 30 crore to set up a plant in Goa to manufacture medicated chewing gums, whose consumption is said to help in quitting smoking and curbing use of tobacco. “We are setting up a Rs 30-crore facility in Goa to manufacture high quality medicated chewing gums. The new facility is expected to commence production in December,” Fertin India Managing Director and CEO S Ravi Kumar said in a statement here. 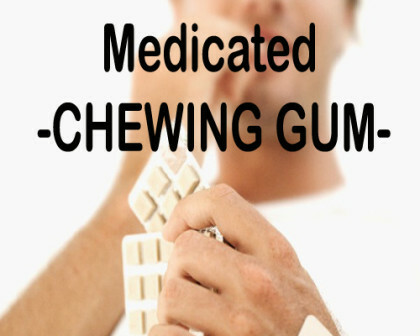 Medicated chewing gums can help some people to stop use of tobacco and quit smoking. The market size for this product is estimated at around Rs 65-70 crore. “The Goa unit is also planned to be a manufacturing hub of the company for future exports to South East Asia, MENA (Middle East, North Africa and Latin America),” Kumar said. Fertin Pharma is a world leader in providing nicotine replacement therapies. The company, which produces more than one-third of nicotine chewing gums globally, has factories and operations in many countries, including in India, where it opened an R&D facility in Mumbai in 2011. Fertin Pharma is primarily a B2B manufacturer and has partnerships with large pharmaceutical MNCs like Novartis, GSK and Perrigo. It is now looking for potential partnerships for the Indian market, Kumar said.